The proliferation of mobile apps has been incredible. There has been a colossal rise smartphone/tablet usage, especially in the workplace. The changing dynamics of the industry has made it necessary for mobile application developers to look at app development in a new light. In order to stay in business, developers will have to understand the changing nature of mobile app ecosystem. Earlier, mobile app developers could simply focus on their app’s rankings in App Stores; today they have to look at things on a much larger scale. Gone are the days when the popularity of apps could be measured on a single metric. Today it has become necessary to study an app’s frequency of use, duration, loyalty etc. 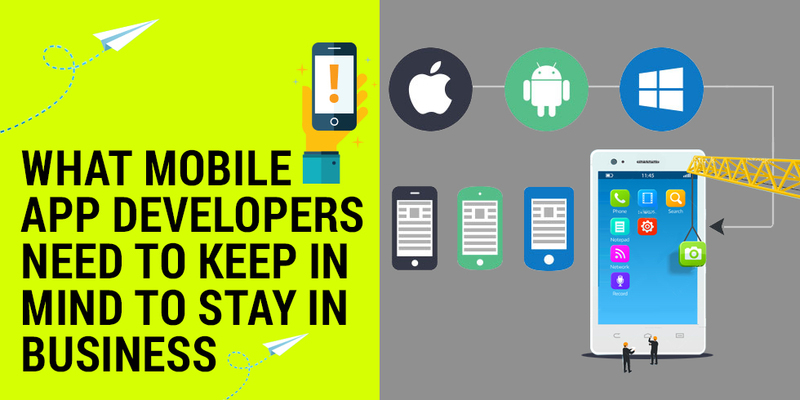 Moreover developers have to pay attention to factors such as the maturity of the app and usage patterns. While app rankings continue to be an important criterion, this will not give overall information on how the app is faring. Developers can no longer look at apps as a one-time investment. For the app to remain in business, developers should focus on its growth graph. There has to be an increasing focus on metrics that help monetize the app and bring revenue.Developers have to closely watch the month active users (MAU) and gauge the rise or fall in active use of the app. MAU is one of the major indicators of an app’s success and traction. The above metric however cannot work in all cases. There are apps that need to assess the frequency of use rather than its usage duration. On the other hand, there are apps that may not have regular active users. In such cases, mapping the usage pattern becomes more essential. For example, an e-commerce app will need to check the frequency of use while a game publisher will be more interested in the duration of use. Also certain apps may need to look at different indices all at the same time to understand the success of the app. There can be different department looking at different metrics. For user acquisition, developers will have to look at how cross-promotion strategies are working while other developers concerned with the marketing will have to see how the changes in updated descriptions and pricing can lead to more installations. Simply tracking MAU may not be enough to understand whether an app is doing brisk business or not. It is equally important to profile the users and know more about them. Developers have to profile users systematically and prioritize and re-organize their future plans for the app. For example, in certain cases, apps may need to target a specific demography while for another app it may be important to focus on a specific geographical location. You can hire mobile app developer from Semaphore Software who has a rich experience in developing apps that stay in business and earn revenue for a business. Get in touch with us through info@semaphore-software.com to know more about our services.